Want to build a dream kitchen in your home? Here are 7 cutting-edge design ideas that will help you do that in 2019. The kitchen is the heart and soul of a family home. It is where people meet to nourish themselves, share experiences, and celebrate family achievements. The importance of this part of the house so big that open kitchens connecting dining and living spaces have become all the rage. On average, people in the U.S. spend around $19,000 to renovate their kitchens, with many relying on cutting-edge design to convert their kitchens into so much more than a place of work. If a renovation project is in the works for you, find the inspiration you need in some of these new features. 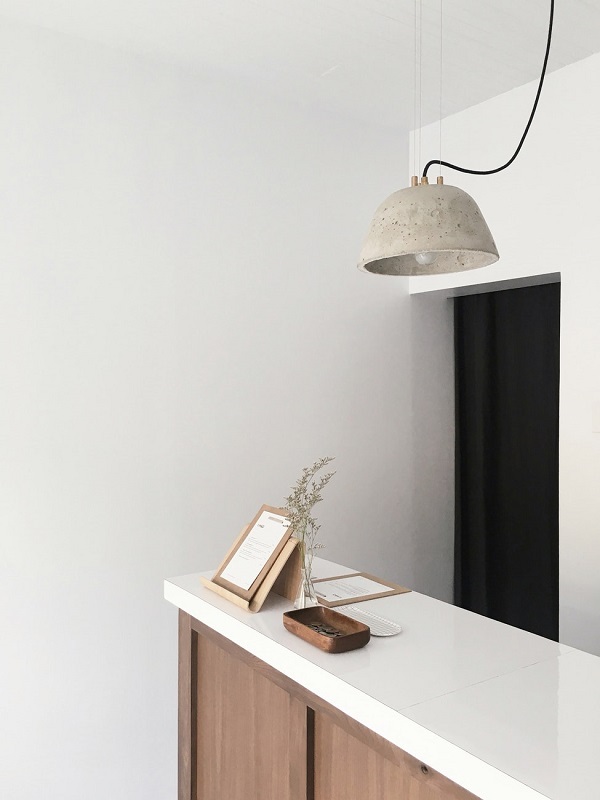 Brilliantly lacquered Silestone surfaces may have dominated kitchen countertop and island designs, but the rise of minimalist design has created a penchant for sturdy matte surfaces. And we are beginning to see concrete not only on furniture but also on walls and flooring. The calm tone of grey blends beautifully with natural kitchens in white and black. Some kitchens are taking it to the next level, combining concrete workspaces with overhead concrete features joined to concrete steps leading to upper floors. If you opt for this look, sealing is vital to protect furniture from wear and tear. Environmentally friendly and chemical-free dishwashers have long been all the rage in commercial kitchens, where the volume of dishes washed and the high temperatures required to make energy efficiency vital. However, they are also holding sway in home kitchens. Many of them are boasting energy certifications that have features such as delayed start (machines start during off-peak hours), soil sensing (the device adjusts the cycle length and water wastage to the dirt level of dishes), and energy saving cycles (which operate for a shorter period of time). Sustainable fridges, meanwhile, have features such as alarms that sound when the door has been left open for longer than a minute and technology that adjusts frost patterns for maximum efficiency. The kitchen used to be the most practical spot in the home, but these days, it is a place to display beautiful lighting features that might otherwise be lost to visitors’ views if placed in bedrooms or other private areas. Instead of the typical sturdy wall lamp, kitchen designers are opting for hanging pendant lights. They look beautiful when placed in a row above a long kitchen island, but are also stunning when hung together at different lengths, perhaps in a gourmet/coffee corner of your kitchen. Large Baroque-style chandeliers also look fantastic in an otherwise simple, minimalist kitchen, fitting in perfectly in more traditional spaces as well. They turn a simple kitchen island into an appealing table for meals and coffee almost immediately. Gold and copper accents are growing in popularity, reflecting a growing penchant for metallic use in design. Mixed metals are all the rage in kitchens as they are in fashion. Thus, it is common to see kitchen islands with metallic legs and a wooden top, with a kitchen hood in an entirely different metallic color. Island stools with copper metallic legs, meanwhile, add an über chic touch to a country-inspired kitchen. Wood is still a revered material in modern kitchens; few things speak warmth and tradition quite as much as solid wood. Forget about the monochrome looks of the past, though; these days, wood is being blended with a plethora of other materials, including white lacquer, marble, and stone. Thus, wall cabinets might be made entirely of wood, while central islands are in cool white lacquer with wooden side accents. If you like the idea of mixing white and wood, islands can also be painted in white or eggshell for a more youthful appearance. Traditional kitchens are using brick accents to add a New York loft-like feel to even small, simple kitchens. Brick in both natural and white hues are being used behind sinks or decorating walls. They work beautifully as support for wooden shelves. Pop a few copper metallic items up there, and you will instantly add a country-style feel to your cooking space. Brick ceilings or overhead domes also work beautifully in a countryside home. After around a decade of simple, monochrome, lacquered splashbacks, tiles are adding new creativity and color to modern kitchens. Geometric, Moroccan, and monochrome tiling is being used in wide ‘strips’ that run from one end of the wall to the other. Tiling is also being used to create decorative shapes that form a perfect backdrop to wooden shelves for glasses, cutlery, and equipment. Because white is arguably the ‘it’ color for kitchens, we see plenty of tiling in grey, dark blue or bottle green, and mahogany hues. Another look involves the use of hand-painted tiles, each bearing its design, in a small section of the kitchen. Glass tiles bearing different hues (e.g., sparkly pink, light pink, ivory, and shell pink) add a playful touch and are ideal for those who embrace color and artistry. Tiling has become a must-have feature of plain white kitchens, since they attract attention, livening up a space that is predominated by light. Be creative when it comes to selecting the right tiles for your kitchen. Large hexagon-shaped tiles are as popular as plain square or tiny dotted tiles to ultimately it all depends on the extent to which you wish you highlight the area in which your tiles will be placed. Because open kitchens are being converted into a hub of activity in the home, greater care is being taken to design attractive spaces boasting new materials such as concrete and metal. The millennial interest in sustainability also means that people are investing more in equipment and machinery that is environmentally friendly and attractive all at once. The key to designing an excellent home kitchen is to liberate oneself and blend various influences, daring to try out new materials and color combinations for a result that is all your own.